An expert guide. Selling a home usually requires dozens of forms, reports, disclosures, and other technical documents. An expert will help you prepare the best deal, and avoid delays or costly mistakes. Also, there’s a lot of jargon involved, so you want to work with a professional who can speak the language. Objective information and opinions. Realtors provide local information on utilities, zoning, schools, and more. They also have objective information about each property. Brokers can use that data to help you determine if the property has what you need. Property marketing power. The property doesn’t sell due to advertising alone. A significant share of real estate sales comes as the result of a practitioner’s contacts with previous clients, friends, and family. When a Realtor markets a property, you do not have to allow strangers into your home. Your Realtor will pre-screen and accompany qualified prospects through your property. Negotiation knowledge. 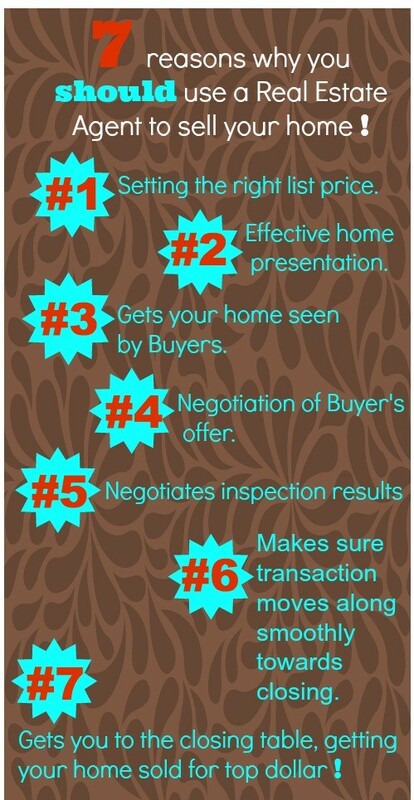 There are many factors up for discussion in a deal. A Realtor will look at every angle from your perspective, including crafting a purchase agreement that allows you the flexibility you need to take that next step. Up-to-date experience. Most people sell only a few homes in a lifetime, usually with quite a few years in between each sale. Even if you’ve done it before, laws and regulations change. Realtors handle hundreds of transactions over the course of their career. Ethical treatment. Every Realtor must adhere to a strict code of ethics for professionalism and protection of the public. As a Realtor’s client, you can expect honest and ethical treatment in all transaction-related matters.